It’s hard to read very far in your Bible before bumping into shepherds. We find them in parables, psalms and Christmas stories. Many of our biblical heroes (both men and women) herded sheep, like Jacob, Rebecca, Moses and David. And Jesus even pictured the final judgment in shepherding terms — as separating the sheep from the goats. But many of us modern city folk don’t know much about shepherding in the Middle East. Sometimes we miss imagery that would have been familiar to the original audience. So I thought I’d share a few favorite resources that have a lot of good information, and are devotional too. If you know of other ones, feel free to share them in the comments. 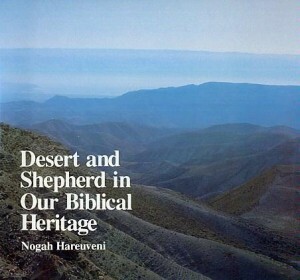 A truly remarkable book about the desert and shepherding imagery of the Bible. From decades of experience in the barren Judean hillside, Dr. Hareuveni shares innumerable insights into the desert imagery that winds its way through the Bible’s poets and prophets. The book highlights Psalm 23 and the life of the ancient shepherd, who lived on the edge of the desert. Many photos throughout. Desert and Shepherd is only printed in Israel – you can order it from Neot Kedumim, the biblical landscape reserve that Dr. Hareuveni established near Jerusalem. Otherwise there are some used copies available on Amazon and elsewhere. Neot Kedumim by the way, is an amazing place to visit on your next trip to Israel. The name (ney-OTE keh-doo-MEEM) means “ancient pastures.” Hundreds of species from the Bible are cultivated there. You can see vineyards and fields cultivated as they were in ancient times and experience for yourself what tamarisk trees, hyssop, mandrakes, mustard trees, and many other biblical plants were really were like. 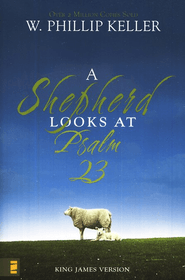 Keller shares endearing reflections on Psalm 23 and Christ as the Good Shepherd based on a lifetime as a keeper of sheep. Because he grew up in East Africa, he includes insights on traditional farming methods that go back to Bible times. (Read an excerpt on Amazon. Feinberg is a talented author of several Christian books. Here she decides to experience the Bible’s imagery first hand by visiting modern day “people-of-the-land.” She tromps through a barn full of manure to follow the sheep into the field, and then she ruminates on how the daily reality of a shepherd can enlighten her Bible study. 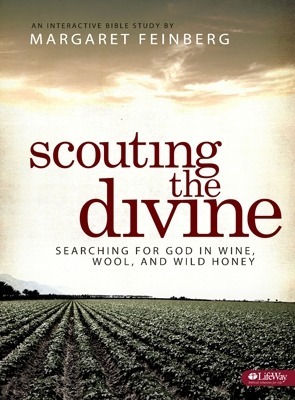 Feinberg also spends time with a beekeeper, a farmer and a vineyard owner who discuss with her what the biblical pictures of sowing and harvesting mean to them. The book is a delightful blend of “a-hah’s” and thought-provoking reflections. In this excellent video study series, Vander Laan unpacks biblical ideas by taking his viewers on a tour of its Middle Eastern reality. Check out, for instance, this excerpt on the “green pastures” of Psalm 23. There are a total of 12 videos now, and shepherding comes up several times, especially in videos #2, #6, #8 and #9. 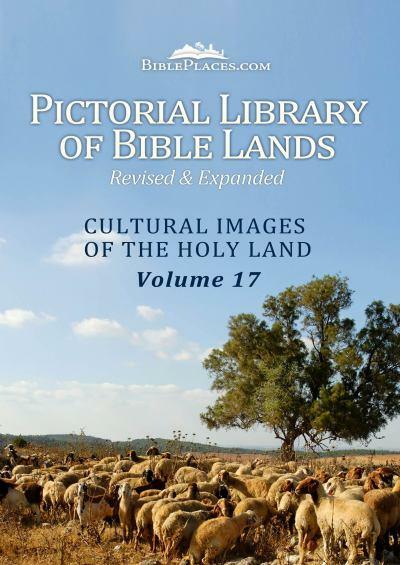 Vander Laan also explores other biblical images like that of “living water,” “desert,” and “first fruits of the harvest.” All of the series is highly recommended. Learn more about Ray Vander Laan’s teaching ministry here. By the way, I’ve also written a couple articles on this website that meditate on shepherding. I discuss the Eastern vs. the Western view of making disciples in Discipleship: What Sheep Can Teach Us. And I shared an interesting Youtube clip of Sheep who REALLY Follow their Shepherd across a busy highway in Oman, Jordan. My brother went to Israel a couple years ago. I have heard many stories about shepherds and how their sheep follow them. One thing that I find very interesting that my brother and you mentioned is that when they talk about “green pastures” it really isn’t how we would picture it. There isn’t a field full of grass and green, but really only now and then you will find a little grass otherwise it is mostly dry. I just find shepherds really amazing. How they do a job so little and unimportant, but Jesus refers to himself as one of these. How we follow him and know his voice. This was an interesting article about how much shepherd and sheep are mentioned so many times in the Bible. It was also helpful that you listed many sources and books that we can read to help us see what your saying further. My pastor leads many trips to Israel, Egypt, and Jordan throughout the year. Often, he comes back telling stories. Most often, he talks about the shepherds and their sheep. Last year, he showed us a video that was filmed on their trip. It was of a shepherd and his flock crossing a busy road. The shepherd steps out into the road, and the sheep follow. They completely trust their shepherd, even though there are cars coming at them. Thankfully, they all cross safely. I was fascinated, and still am at this. It blows my mind away to see how strongly these sheep trust their guide. I pray that I can do the same thing with Christ as my shepherd. We need to trust him more when it comes to situations in our lives that we didn’t plan. Thank you for writing this article. You made a great point in saying that shepherds are a big part of the Bible. I agree with you, I think that if something comes up in the Bible a lot, we should look into it more. Thank you for your insight into this topic and for compiling these sources for us to learn more. It was very interesting article to me because I know that I have heard a lot of stories involving sheep and shepherds but I never really realized how many times they are mentioned through out the bible. It’s amazing to me that the sheep and shepherd can be used in so many different ways in one story. Also, it was very helpful that you included so many different sources for us to look into! This story is interesting since here we have sheep pens, but in Israel and that area the sheep have to follow their shepherd to find food. In the bible its trying to relate us as the sheep and God as the shepherd. We need to follow God, so that we can become followers of christ and gain knowledge from it. Also it deals with us as sinners. Saying that we are not perfect, but we still need to follow christ and try and become perfect. When it is talking about a shepherd, the main thing I got out of it is them being a leader. All the sheep follow them and if you think about it, this one person is leading and taking care of a ton of sheep and he is able to keep them all under his watch. I just find it amazing how he can do this. It is just like Jesus, how he is able to lead all his people just the the shepherd is able to lead all his sheep. Jesus is our shepherd and he watched over us all the time just the the shepherd watches over his sheep. Having these things pointed out to me brings a new perspective on the Bible that I probably would not have noticed. Analogies of sheep and shepherds come so often, it’s hard sometimes to realize why they matter so much. Thank you for what you pointed out to me, about how important these things really are- so much so that books have been written, and videos made about them. The resources you’ve given are helpful, and looking into them has been interesting- thank you for your insight! This was really interesting to read. Whenever I come across a shepherd analogy in the Bible I kind of pass over it. Now, after reading this, I have a better understanding of what a shepherd is, and how much the sheep must trust the shepherd to follow him like that. I have seen the video of the shepherd crossing the road in Jordan and thought it was crazy! I watched it three times and still couldn’t get over how trusting the sheep were. They walked across a busy road just because the shepherd told them to. I wish that I could have that kind of relationship with my Shepherd. I also loved having examples of books to read for more insights on the life of a shepherd doing Bible times. I think I might check one of those books out soon. Until hearing stories recently and this article I never understood what it really means to be a shepherd. 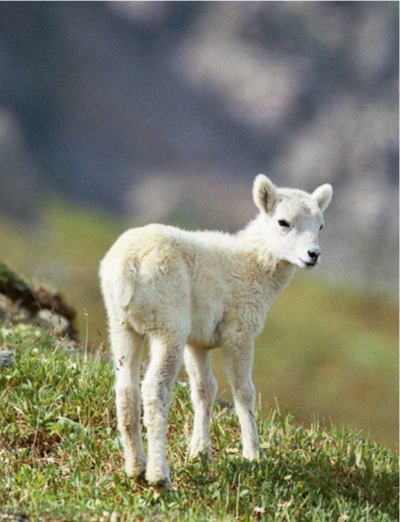 As a kid I memorized the versus in Church about shepherds, but I never really understood it. Living in America I always put a perfect picture in my head of nice pastures and an easy life as a shepherd. The book by Margaret Feinberg sounds very interesting as she lives the life of a sheep. 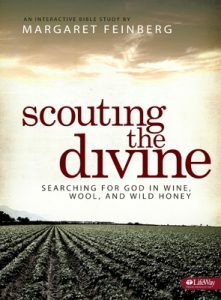 I may read this book in the near future, but I hope to soon find the book, “A Shepherd looks at Psalm 23” by Philip Keller. As a devotional it sounds very intriguing to deepen my Christian Faith. I have heard a shepherd’s testimony was not allowed in court? What a way to announce our Lord! It was very fascinating to learn about what the pastures are really like when they are talked about in the Bible. It’s so true that God leads us and takes care of us right in the present time. We might not always know what’s coming next but he has a plan; just like the shepherds do for their sheep grazing the pastures. I always thought the pastures described in the BIble were green, luscious, and had rivers of water flowing through them. This was definitely eye-opening and a very different perspective of the Bible for me. Its a good reminder that we do not obey God our of obligation, but we obey Him because we know him and we know that he will provide and protects us. Even though at certain times in our lives it feels as though he is not leading us. God leads us through the difficult times in our lives we just have to have faith that he knows what is good for us and follow him. Thanks for taking time to find these resources. It took me a long time to notice the actual depth of the stories in the Bible, and I know there are many people who don’t see this at all. RVL showed me many small details and connections I had never noticed in the first few days taking his class, including the shepherd and the sheep. I’m sure your blog will help many people read the Bible and grow in their faith. Thanks for recommending W Philip Keller’s book Psalm 23. I ordered it and it only took a week or so to come to Australia from U.S.A. It really is enlightening and a wonderufl read. It has been especially useful as I am teaching the children at school about The Good Shepherd. Glad to hear that. It’s been around for a while, but it’s really a classic. green pastures: the Lord richly bless you! Having found I have CLL, and studying for SS class on Psalm 23,this webpage has done so much for me in both areas. I love sheep. I grew up in New Zealand and we had our own. However, like the other readers comments, I too thought that the sheep in Israel grazed in lush green pastures within the safety of wire fences. That was until I went to Israel and when I also began to study the 23rd Psalm in great depth. One thing that I hear time and time again being preached is that sheep are dumb animals. This is disparaging, both to sheep and to humans, as we are compared to sheep in the Bible. Sheep are not dumb. They are helpless. They have no way to protect themselves. They have no horns, sharp teeth or claws and cannot outrun their predators. In Israel they have no way to search for food as they are not agile like goats, who can climb steep rock faces to forage. We are helpless, just like sheep, who utterly depend upon the Shepherd, for protection and provision. How wonderful to know that we are counted as part of His flock, that He will lead us through the rocky paths of life, that He will provide and protect and lead us safely home.